Through most of human history, the forest, beaches and rivers – they were the foundation, timeless and essential. They were there. Nothing was more real. We live in what many scientists now call the Anthropocene, the Human Age. Past epochs have been marked by ice age glaciers or collisions with wayward meteorites, but the extraordinary geological force of our times is us, that rascally species known as Homo sapiens. We book climate-altering transcontinental flights in the name of ecotourism, dig up whole landscapes for the rare earth elements that run our smart phones, and feed 10 percent of the world’s forage fish catch—anchovies, mackerel, smelt—to our pet cats.4 We are the makers and breakers of the world. That’s just how we roll. Today, the landscapes where we live out our adventures may be there one day and gone the next. It is up to us, an outcome of human decisions. A mountain is a choice. A river is a choice. You get the picture. And yet, it has become fashionable to pooh-pooh protest movements. Waving signs and shouting slogans has come to seem somehow obsolete, utterly lacking in the postmodern awareness that our beliefs at any moment are, as the intellectual French economist Thomas Piketty would say, “a social construct in perpetual evolution.” Real, feet-in-the-street engagement seems almost pre-digital in its lack of cool, as though the decision to stake your visible, flesh-and-blood self to a cause is a form of blindness to the virtual networks our minds are now adrift in. With a simple Google search we can always assure ourselves that there is another way—and another, and another—of looking at every issue. “Protest never changes anything.” Or so the story goes. Let’s take a look, then, at a map. It’s a map of British Columbia, mountains and valleys, the Pacific coast like an unfinished jigsaw puzzle…I can’t do better than to borrow from native-son writer Terry Glavin, who calls it “this ragged place.” B.C. is one of the world’s great adventure playgrounds, attracting explorers and fun hogs and weekend warriors. I live here, too, and this week alone I have plans to mountain bike the legendary North Shore, rock climb the legendary Squamish Chief, and canoe a lake that isn’t legendary, though maybe it should be. But back to the map. Scattered across its surface we see the green polygons that mark parks and other protected areas. Nearly 16 percent of B.C. is preserved from industrial development, more than any other Canadian province.5 If B.C.’s parks were lumped together in a single mass, they would form an area larger than such entire U.S. states as New York, Iowa, and Georgia. Yet in 1992, only 6.1 percent of the province was protected, a figure that had barely changed since 1960. Not even the invention of Earth Day in 1970, allegedly the birth date of modern environmentalism, managed to budge the numbers. Then, between 1993 and 2000, the amount of B.C. parkland doubled and has continued to rise ever since. Well, for one thing, people started breaking the law. In the decade that followed, dozens of logging road blockades flared across British Columbia and other parts of North America.8 I won’t debate the choice of tactics here; what I will say is that when governments and powerful corporations close their ears to a groundswell of public outcry and systematically ignore legal forms of protest, then illegal actions are likely to follow. In the summer of 1993, more than 10,000 flesh-and-blood human beings participated in a blockade in Clayoquot Sound, and nearly 1,000 were arrested.9 It was the largest act of environmental civil disobedience in Canadian history. Today, about 60 percent of Clayoquot Sound is protected, but that figure doesn’t come close to measuring the impact of the blockades. Civil disobedience dragged B.C.’s environmental policies into the global spotlight and, under tremendous pressure at home and abroad, the government set a goal to protect at least 12 percent of the landscape. Just seven years after Clayoquot, that figure had been achieved. We can say the names of those places where people faced arrest to conserve the land and waters: Meares and Gwaii Hanas, Strathcona and Slocan, Clayoquot, Tsitika, Carmanah-Walbran, Great Bear and Elaho, Cathedral Grove. The list goes on. Today, these are sacred grounds. It is Carmanah-Walbran where people hike beneath Canada’s tallest trees; Tsitika where they paddle among killer whales; Elaho where they plunge through wild rapids; Great Bear where they gather to watch grizzlies fish for salmon. British Columbia’s ‘war in the woods’ began with a 1984 blockade by First Nations and allies on Meares Island in Clayoquot Sound. In 1993, Clayoquot activists made history with a months-long logging road blockade that resulted in nearly 1,000 arrests—the largest act of environmental civil disobedience in Canadian history. The protests helped reshape forestry, spurred parks protection, and inspired similar actions around the world. More than 60% of Clayoquot Sound is currently protected. In 1988, local activists blocked mining development within B.C.’s oldest provincial park for two months—in midwinter. Sixty-four people were arrested in a campaign that restored the park’s original boundaries and safeguarded it from industrialization. Three roadless tracts of land have been designated as nature conservancy areas dedicated to the preservation of undisturbed natural environments. 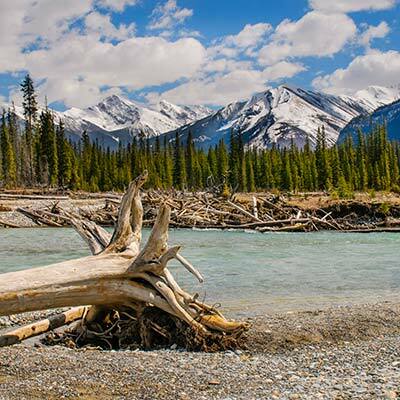 Like the coast, B.C.’s Kootenay region has been a hotbed of environmental resistance. In 1991, the first Lasca Creek logging protest ended in 64 arrests, while blockades in spring 1993 set the stage for the historic Clayoquot Sound protests that summer. Lasca Creek was included in West Arm Provincial Park in 1995, but civil disobedience continues to flare where wild lands are endangered. The most recent arrests took place in 2014 at Perry Ridge in a logging protest led by the Sinixt First Nation. Thirty-one people were arrested in 1990 during a protest campaign against logging that threatened ancient forests and a river mouth where killer whales gather to rub themselves—no one knows why—on underwater beaches. The lower part of the valley was made a provincial park in 1995. Hikers are prohibited to enter theTsitika Estuary, in order to protect this habitat. Beginning in 1988, the Carmanah and Walbran valleys—home to giant temperate rainforest trees—were home to a carnival of unsanctioned trail building, guerrilla scientific research, logging road blockades, and protesters suspended in the forest canopy. 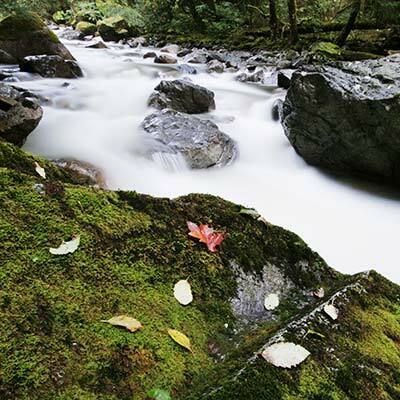 By 1995, the entire Carmanah Valley and the lower Walbran Valley were protected. Activists continue to fight for the last unlogged stands of old-growth trees in the upper Walbran. The Great Bear Rainforest is famous for an innovative environmental campaign that led to boycotts and cancelled contracts for old-growth forest products. Yet this movement, too, has roots in civil disobedience. Dozens were arrested in the mid-1990s, when protests were spearheaded by the Nuxalk First Nation. Today, 50% of B.C.’s last great coastal rainforest is protected or under strict ecosystem-based management—and the fight for more continues. Protests against logging that began in 1997 exploded in the 1999 ‘summer of discontent’ which featured barricades, tree-sits, eco-sabotage (a.k.a. monkey-wrenching), and more than a dozen arrests. After a bitter battle that included a violent raid on a protest camp by angry loggers, the Upper Elaho Valley and parts of the neighbouring Sims Valley were protected in 2007 by the Squamish First Nation and B.C. government. But why do I bring this up now? Why this little history lesson? Because civil disobedience has its moment and fades. And then its moment comes again. Not long ago, I watched 13 people stand on the tracks in front of a coal train to keep it from reaching a port where the coal would be shipped to Asia. The people involved weren’t idiots: they knew their actions were symbolic at best. The train would stop, and after the protesters were gone—all 13 were arrested—the coal would reach the port. It would go to Asia. It would be burned and make yet another contribution to the carbon pollution that is driving global warming. The World Meteorological Organization recently reported that the concentration of carbon pollution in the atmosphere increased more quickly over the past year than at any time since their data set began in 1984. In May 2013, atmospheric carbon reached 400 parts per million, widely regarded as an iconic threshold of climate change—the current best estimate10 is that somewhere between 370 and 540 ppm the planet will be doomed to warm by more than 2º Celsius, with potentially devastating consequences. In April 2014, for the first time in the history of the human species, daily average carbon measurements by the Scripps Institution of Oceanography climbed above 400 ppm and stayed there for three months. A majority of people worldwide continue to demand that urgent action be taken against global warming, including in major carbon polluting nations like the United States and Canada. For more than two decades, activists have dutifully ticked the boxes of legal protest, from marches to law suits to appeals at global summits. Meanwhile, the fossil-fuel economy becomes ever more entrenched through the expansion of pipelines and tanker ports and drill sites. Governments and corporations refuse to change at a pace in any way commensurate to a hazard that threatens to destabilize the climate at a planetary scale. And I thought to myself: a planet is a choice. Nilsson, Christer, and Kajsa Berggren. “Alterations of riparian ecosystems caused by river regulation dam operations have caused global-scale ecological changes in riparian ecosystems.” BioScience 50.9 (2000): 783-792. Ayala, Hana. “Resort hotel landscape as an international megatrend.” Annals of Tourism Research 18.4 (1991): 568-587. Sanderson, E. W., Jaiteh, M., Levy, M. A., Redford, K. H., Wannelo, A. V. & Woolmer, G. 2002 The human footprint and the last of the wild. Bioscience 52, 891–904. The name given to Canada’s indigenous peoples; in the U.S. they are familiarly known as Native American tribes. It’s worth noting, because history has been stingy on this point, that many of the protests were led by or involved First Nations. Copeland, Grant. 1999. Acts of Balance: Profits, People and Place. Gabriola Island, BC: New Society.